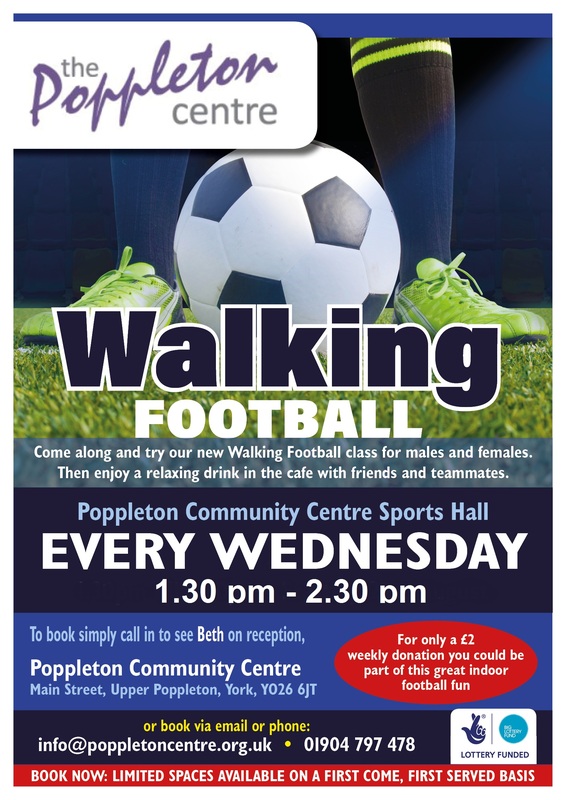 Walking Football every Wednesday at the Poppleton Centre. The session will run from 1.30pm-2.30pm. For only a £2 weekly donation you could be part of this great indoor football fun.